Planning a home relocation? Well, then you would be interested in knowing that the difference between a hassle-free home relocation and stressful home relocation is careful planning. Therefore, plan everything in advance, as it will save you from much trouble on the moving day. There’s one thing related to house moving that many homeowners overlook, only to repent later, and that’s packing materials. If you’re not careful, you might end up spending a lot more than necessary on them, which in turn might completely disturb your house moving budget. Or worse you might pick poor-quality packing materials or use inadequate packing materials for certain items, leading to damaged valuables. Many people think that one must always invest in new packaging—but that’s not the case. In fact, for most people, packing materials which you can get at a discount are more than sufficient. Therefore don’t unnecessarily spend on new packaging and this includes bubble wrap, furniture clothes, and big packing boxes. New packaging doesn’t come cheap. However, the good news is that you can get the same stuff at lower-than-normal rates. Purchasing these items at discount will help you save a decent amount, which can be used for some other things. Start with collecting substantially built and durable boxes. One place where you can search for these boxes is the local supermarket. However, don’t forget to check out the local bookstores. Another place where you might find such boxes is the local liquor store. Ask your friends to contribute to your cause by donating usable boxes. You can go to the community site as well and look for usable boxes, which you can purchase at almost throwaway prices. Professional packers use bubble wraps as well as foam peanuts for packing. These two things are a little costly. Instead of them, you can use butcher paper. It is not as effective as its more expensive counterparts, but it will do the job. You can also use common household items like soft towels, dishcloth, and even old clothing for packing delicate items. Should You Invest in a Moving Kit? When you bring on board professional movers, they will give you access to full-fledged moving kit, as well as other necessary packing materials. It might be in your best interest to get a full-fledged moving kit when you hire relocation experts for your move. Although it is possible for you to acquire supplies yourself, it might not be the best way to go about things. For one, acquiring every item separately might mean putting in a lot of effort into the exercise. Secondly, when you buy each item separately, you are more likely to spend more. 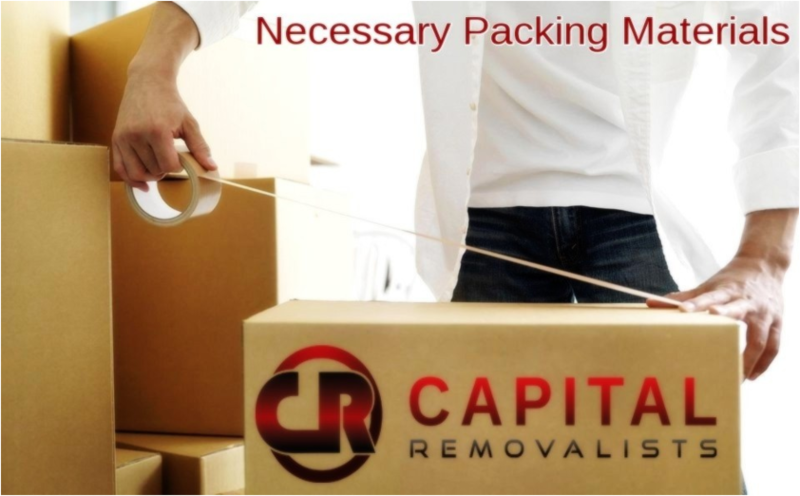 Therefore taking a moving kit saves you time and money, both of which are precious when you are relocating because at that time there are several things that require your attention. How big your apartment is the biggest deciding factor when it comes to the price. Generally, bigger the apartment, more costly the moving kit. For $50 you can easily get a moving kit for 1-bedroom condo. But if your condo is bigger, you will have to pay more. When you buy your moving kit from a professional relocation company, you can get the moving kit for a reduced price because they usually provide a discount to their customers. If you prepare a checklist that is thorough, arranging moving supplies become easier. When you’ve all the moving materials near you, you’ll be able to not only pack but also move your items more effectively and quickly. While relocating, ensure you use a thorough checklist of packaging material, one that has the following items at least. You are also advised to have a toolkit handy on the moving day because you might need it for dismantling furniture before loading it. It is extremely important that you have a good supply of foods, liquids, and water when you relocate. Avoid drinking alcohol during your move as it will dehydrate your faster, especially on summer days, besides impairing your judgment.